This entry was posted in Development, Downtown and tagged aid, apartments, downtown, downtown grocery, downtown housing, grocery, grocery store, housing, living downtown, mixed use, parkade, residential, rite, rite aid, riteaid, Spokane. Bookmark the permalink. When I worked in downtown, my coworkers and I visited that Rite-Aid on a regular basis to grocery shop for cheap lunch supplies, and to pick up the random one-off things we needed on the way home from work. We would walk to Main Market when we could, but with Main Market on one side of downtown and Rosauers on the other, it was too far to easily walk with armloads of groceries. Completely agreed with you! I think Spokane already does have a downtown grocery store. It is called the Main Market Co-op, and yes, you can buy a (recycled and compostable!) toothbrush there. They have extended their summer hours later into the evening, and perhaps in the not so distant future they could open up a second location more on the west side of downtown. Communities less than a quarter of our size (i.e. Olympia) sustain two co-ops, one on each side of town and are looking to build a third. We can certainly expand to two. If you need a toothbrush at 9 PM, you’re going to have to walk to Rosauer’s or a gas station, because Rite-Aid and the Co-Op both close at 9 o’clock. 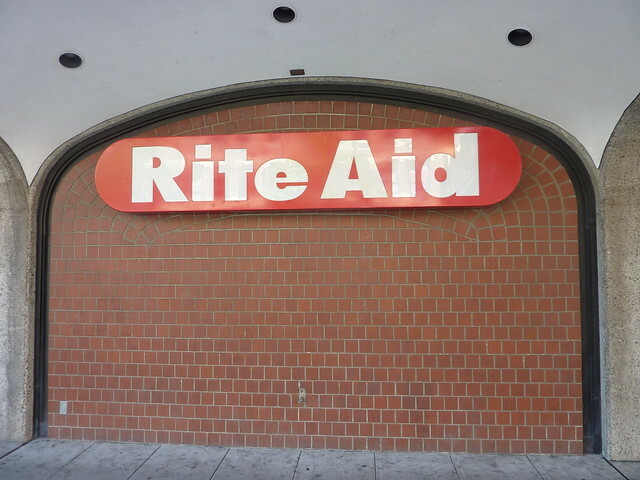 Rite-Aid is great for when you need something and can’t get to a better store. I buy a lot of rubber bands and packing tape there. If you are interested in buying junk food with a 50% convenience markup, it is also a good place for that. It is almost like a grocery store with only junk food for sale. They have entire aisles with nothing but beef jerky. An actual grocery store in the downtown core would be great. The Co-Op is a fantastic place but totally impractical to buy more than just “special occasion groceries” or “healthy snacks that cost as much as a meal”. Though, their breakfast bagels are probably the best in town.